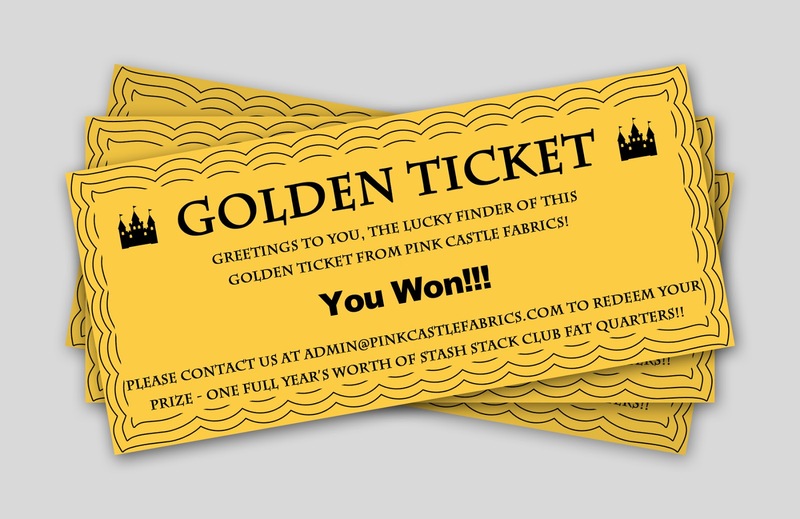 Pink Castle Blog: Golden Tickets are BACK! Win a full year of Stash Builders! 144 Fat Quarters! Golden Tickets are BACK! Win a full year of Stash Builders! 144 Fat Quarters! Two years ago Pink Castle and Jeni Baker launched the Stash Stack Club, drawing inspiration from Jeni's blog series, Art of Choosing. We went in with the assumption that people would love a variety of blenders from across the color wheel, mixed and matched in different shades and hues, so that they'd always have just the right thing to go with whatever their current project is. It was certainly a club we would like to belong to! Others agreed and now here we are, twenty four months later with two full cycles of the color wheel behind us and looking ahead to a whole new year of stash building with all of our great Stash Stack Club members! Over the course of the year, we kept back one fat quarter of each of our stash builder fabrics and added it to a single, ginormous stash builder bundle. That's 144 fat quarters, 36 yards of fabric in total! It's an instant stash all on its own, but this bundle isn't for purchase. The only way you can get it is to find the Golden Ticket that says GRAND PRIZE on it. That's right everyone, we're bringing back the Golden Tickets! All of last year's Stash Builder's Club in one bundle, 144 fat quarters valued at over $360! 1. Golden Tickets are only good on orders placed on after 5pm EST, Monday, June 30th. We'll keep giving them out for as long as supplies last (over 650 tickets available). 2. One Golden Ticket will be issued for every $50 spent (before shipping) in each order. For example, if you order $134 you will get 2 tickets. If you have two orders of $25 you get no tickets. Monthly Clubs and Camp Stitchalot do not count for the Golden Ticket contest. This is only for orders placed online or at our in store location in Ann Arbor, MI. 3. Each Golden Ticket, with the exception of the Grand Prize ticket, comes with a coupon code that you can use at our online store. These codes can be redeemed anytime between August 1st and August 31st, 2014. When you input your code during that time, it will automatically deduct however much the ticket is worth from the total of your order. There are at least three $100 and six $50 tickets! 4. If you are the Grand Prize winner, congratulations! Your ticket will have instructions on how to claim your prize. We can't wait to hear from you! Of course, winning the prize will be amazing, but if you're not that one lucky person, you can still get in on the goodness. 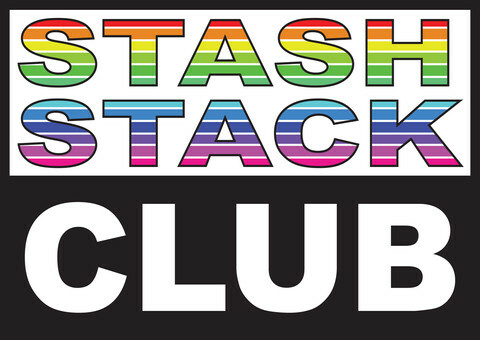 We've just started a new year of Stash Stack Club and you can become a member right now!